The visitors and the Jamaican rastafarians, what is it about them. Tourist women seem to have a special adoration for Jamaican rasta men. What is it that they love about these men? 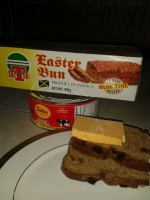 I am just as curious as the many other Jamaicans. To respond or comment, please add your note via the Comment link below. Unfortunately,I was not on Jamaica,yet.But,with listening reggae music seriously,from the hart,familiarizing with Jamaican culture, I started to see the same things in myself, because they are specking the TRUTH, what was the only thing that interesting me in life...I strongly believe in God, so I pray to God if they can come to my country, because I couldn't come.Just to get know with somebody from Jamaica,to control myself if I am right about them...And they started to have concerts in my country, finally.And I met with some of them.They was so polite, like that, from the hart.We talked all night,about everything-God,Life,Truth,Wisdom,food,music,everything...Like we know each other for 100 years!And with their ladies to.They look at me normally,without up-down looks...That was so liberating!Today, I have many friends between them,and I have only words of praise for Rastafarians.Is true that some man with a dreadlocks walking up and down on some Jamaican beaches,but they are not Rastas.Maybe they are only handsome,attractive people witch can say "hello" to lonesome white woman which is tortured dissatisfaction in her life,and then she answers with "hello",and thing is starting...But that are not Rastas.They live in "mahat",they listen,love and respect their wives and family.And RASTAS REALLY THINK AND DO WHAT THEY SING.Ganja is sacred plant to them,plant "of wisdom",healing of the nation...AND THIS IS NOT THE FIRST TIME FOR PEOPLE TO LIKE TO RUIN SOMETHING WHAT IS CLEAN...For this appearance on fb say "rent-a-Rasta"...Anyhow,RASTAMAN IS A STRONG MAN WHICH BELIEVES IN GOD, BUT IN THE SAME TIME MAN WITH A GOLDEN HART!Maybe unfortunately for some...Their Royal paternity do not leave place for things and phenomena which are coming from "low instincts".Fortunately ,they are still holding God's Truth! I can relate, but it is the opposite. Many black women want me because they believe the stereotype that white men treat their women better. I have dated many black women because of this reason. Oh My word!! "Low self esteem" Please!! There are so many decent Rastafarians not just in Jamaica but all over the world and I am so sure that they all do not have "Low self Esteem". Or maybe what they are getting from these "Hard" Guys they cannot get from their white men..So sorry, I'm laughing so. I think Rastas are a mystery and lets face it Rastas are not only in Jamaica they are all over and they fascinate women because they are REAL and they have no preservatives in their lives. i beg to differ ms. rachel g who said what the rasta men are doing for our visitors is deemed to be so because of their low self esteem they are fullling their part of attractions that the tourist looks forward for when they come to the island. they are hustling selling their wares just like another craft vendor so dont blame the dreads to be fullfilling their part of it for our tourist they want the andaconda weh long and the dreads are doing their part. I would like to advice theses SO-CALLED RASTA RASCAL- RENT A DREADS TO change their life style. The thing they should be doing , 'To set a good example think about Germs and infectious S.T.D. 'S that they will take home to the women who are so trusting or UN - EDUCATED AND SIMPLE MINDED ENOUGH TO HAVE ANY RESPECT FOR THEM. I can assure any one out there that these MEN have no respect for their CULTURE, THEIR WOMEN AND MOST OF ALL ''ALMIGHTY GOD'' It makes me sick even to here the name RENT A DREAD, It is PROSTITUTION. This Heathen life style is sick,Why don't they Educate themselves and gain knowledge to pass on to visitors? They are giving Jamaica a bad Name and I truly believe that these men have LOW SELF ESTEEM That is why they do these things. They curse the white men and go on about Babylonian this and that, Instead of finding a carer and help to Educate the young people in this Country or even to Teach the Visitors some History of Jamaica,'Look at what they chose to do, They need to look deep in themselves & get a life. Tourists love rastas because of a fantasy. 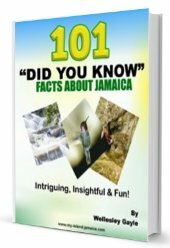 They associate rastas with Bob Marley and they feel that by hanging out with a rastaman they are experiencing the real Jamaica and the pictures will be used to show off to their friends their unique vacation in the sun. It is not RASTA men it is RENT A DREADS. So many older tourists, like to hook up with younger men, with dreads or without, because they don't get the same attention at home. Real rasta men, wouldn't want a tourist. The ways, values, beliefs are not the same. It is very sad, in Negril, I want to throw up sometimes as they look so weird together, some of the ladies are old enough to be their mother or even their grandmother... What Jamaicans will do for a little money. They shouldn’t sell themselves like that. And all the rastas, rent a dreads or regular Jamaican men, they all don't have big ones or stamina lol When big, extra big yes, but so many small ones too!! You mean Rent a Dread. Jamaican rastaman is said to be well endowed and that is about it. I would not say Jamaican Rasta men alone. I am from Trinidad and Tobago and most of the tourist are in Tobago and it's the same thing there as a matter of fact all the other Caribbean islands . I don't know if it's the trill of being with a man with the hair style and beliefs that they are not accustom to seeing in their own country . Simple Mon...rastas come off differnt den most Mon,Da way dem dress,act,speak,dey style is differnt,dey life is differnt.Dem women not frm our island neva seen such ting b4 so its easy 4 dem 2b attracted 2 rasatas and Jamaicans. Who wants to understand women? This is an interesting question and I think there are many answers. The first thought: Who do tourists call "rasta men"? Rastafari or only guys with dreads? Most people see no difference. #1 Dreadlocks look exotic and this is one attraction. #3 Tourist ladies are often bored and jaded, especially if they travel alone. They enjoy a dreadlock holiday and think they are getting younger with a young man. Maybe there are much more reasons. I'd have another reason. I'd really like to meet a Rastafari. I'd talk with him about history, livity, reasonings and much more. But I don't believe that a real Rastaman would talk about these things with an old white woman, lol! I wish I Knew To! I can't say! Why the tourist love the rasta's so much. I know they try to be the sweetest talkers! I'm being serious,but some or just slick as ever! Some are not true rasta,because real rasta live by certain rules and stick by their belief's some are hurry come up! Only pretending,just cause you dred up don't make you rasta! They try make you feel so special just to play on your mind! Iv'e met a few in my time bring real rasta's to shame! I have trully real rasta friend's they will do anything for anyone they can! I think they remind them of Bob Marley,one of Jamaica's greatest singers! You Got the sweet singing Tony Rebel,Bob Marley sons,Buju B,Maxi P,etc! Some or so kind and treat you like a Queen and like I said some are devil's! And Jah kno,he who feels it kno's it! Be blessed and not stressed! Join in and write your own page! It's easy to do. How? Simply click here to return to JamaicaForumsInvitation.